Another gem designed by illustrator Matthew Burton. He took a different approach to this one rather than straight-ahead illustration. 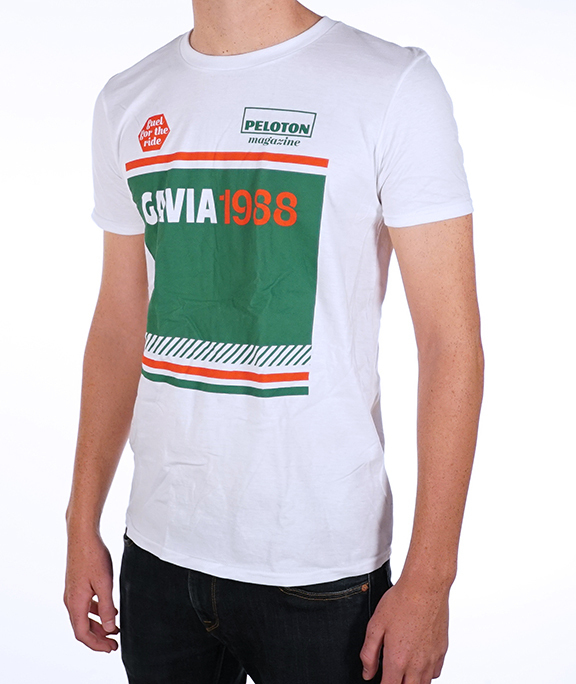 Taking cues from the 7-Eleven team of Andy Hampsten and Andy's epic ride on the Gavia Pass in 1988 en route to his glorious overall victory at the Giro d'Italia, it has a cool jersey look to it. Our women's t-shirt (not shown) is a true women's cut including shorter sleeves and traditional women's neck line cut.